Do You Need More Than Plain H20? | Do You Need More Than Plain H20? Do You Need More Than Plain H20? Nutrient-enhanced water and sports drinks may contain any of the following: calories, sugar, electrolytes vitamins, minerals or supplements. When do you need one of these and when will plain water be sufficient? Sports drinks are most beneficial for people who perform continuous physical activity for longer than 60 minutes. For every 15 minutes of vigorous exercise, drink approximately 1 cup. The electrolytes in these drinks assist the cells of your body to maintain fluid balance and other essential functions involving your heart and muscles. 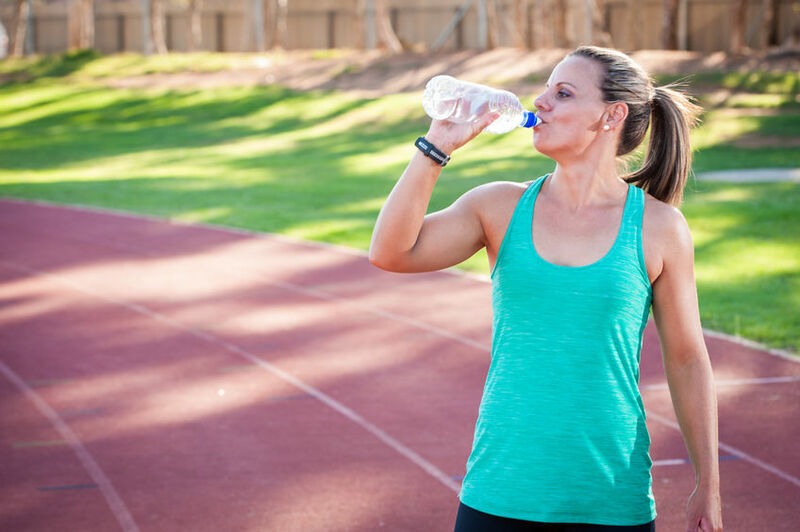 Exercise under 60 minutes generally does not result in loss of carbohydrate and electrolytes therefore will not require nutrient-enhanced water or a sports drink. In this case, plain H2O is sufficient to maintain fluid balance. For those who exercise under 60 minutes or those who are not physically active, supplemental beverages contribute unnecessary calories, sugar and sodium. If you don’t need an enhanced beverage, things don’t have to be boring! To increase your fluid intake while changing it up a bit, add lemon or lime to your water. Sliced cucumber or one of your favorite fruits can be a great addition as well.